The growth of corporate companies has been phenomenal. The advantage a corporate company enjoys is access to large funds. With funding rarely a problem for a corporate company they are able to establish new manufacturing facilities on a global scale. When companies expand and begin to grow the first bottleneck they face is finding a suitable building. Conventional forms of buildings take long time to construct, especially mega-sized warehouses and manufacturing factories. 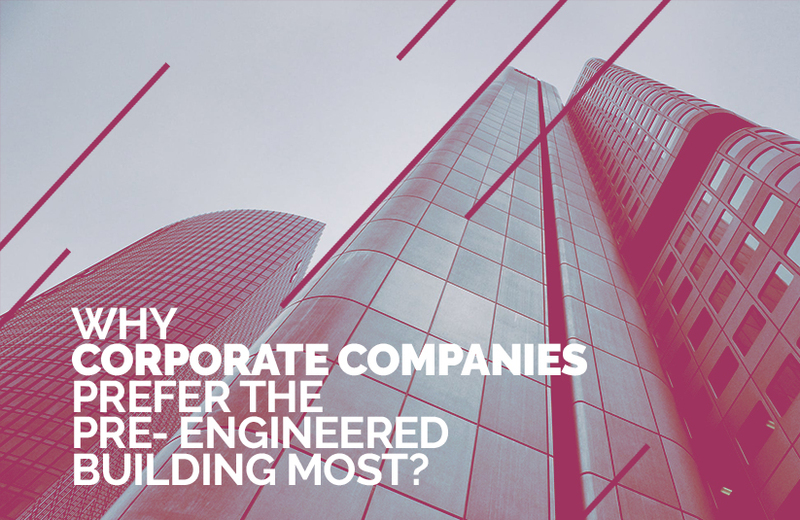 Constructing a huge building the traditional way has its own pitfalls – there are the time delay and cost overrun factor; lack of infrastructure and other inputs such as quality water and skilled labour. These are however not any limiting factors; newer technologies such as pre engineered buildings make it possible to construct mammoth structures that are stronger and durable not only in remote locations but also in congested cities where space sells for a premium price and transporting construction materials are almost impossible to store and use. What are Pre Engineered Buildings? Pre engineered buildings are structures that are made up of building elements manufactured in factories to exacting standards and then transported to the construction site for assembling. Since all the elements (or most of the elements) are fabricated in factories, it is easier to maintain appropriate standards and reduce the time of on-site construction activities. India is one of the few and earliest of countries to adopt pre engineering technologies in building construction. Technically advanced construction companies in India have their own manufacturing facilities to pre fabricate building elements to erect structures. One of the key features of PEB structure manufacture is its flexibility – it can be combined with traditional construction methods or as an all-steel structure with little or no brick and mortar. Economical and Cost Effective – PEB is generally cost effective because it consumes less of scare construction materials such as sand and blue metal (mined materials that tend to have an adverse effect on the earth’s ecosystem) and replacing it with steel. The per-SQM cost comes down substantially thereby reducing project cost and improving profitability. Uniform Quality at no extra expense – construction companies in India that adopt PEB technologies are able to offer reduced construction cost because it saves them from maintaining a workforce (or ) at the site. Maintaining quality standards at the site is often a difficult job as compared to a factory setting where all operations are streamlined. The result is good quality at reduced price. Flexibility Advantage. The advantage of PEB structure is that you can begin small and expand as needs grow. This advantage is almost absent in traditional construction where the scope for expansion is highly limited. Since PEB structure can be designed with fewer pillars to support roofing, space inside is vast. Eco-friendly Features: PEB structures, by design are intended to use lesser quantities of natural resources such as sand or blue metal, mining of which can pose harm to the earth’s structure. Add to this the readymade features of PEB, you will save a lot of money on architect fee and other consultation fee. India is home to many pre engineering building manufacturers and locating one is not rocket science. All it takes to find a pre engineered building company is an online search. Here are few tips to zero in on the right company. Compare price and features. To fall for the cheapest is not a good strategy; take a deep look at the features and the discounts they are willing to offer. Making a comparison is often easy and does not require much knowledge of engineering. Pay attention to erection charges. Erection and commissioning can vary from company to company and the best bet is to choose a company that offers a turnkey project. It will save you from unwanted headaches. Finally don’t fail to ask for warranty.